When did you decide you wanted to work in gastronomy? How did you start working together? Both decisions were taken at the same time. 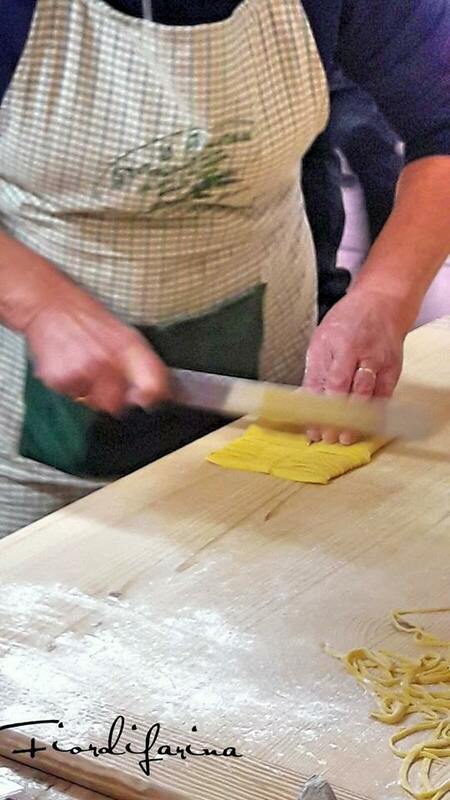 Nora founded Fior di Farina in 1997, as a Fresh Egg-Pasta shop. After three years, Nora felt that she needed a business partner and asked Sonia to join in. Because of her passion for cooking, Sonia accepted and arranged a new gastronomy department in the shop. If you had to describe your shop Fior di Farina with three adjectives, which ones would you choose and why? Quality, courtesy and tradition. The three adjectives are tied together, we aim to offer our customers quality products of our tradition with courtesy. Your cuisine tells about traditions. 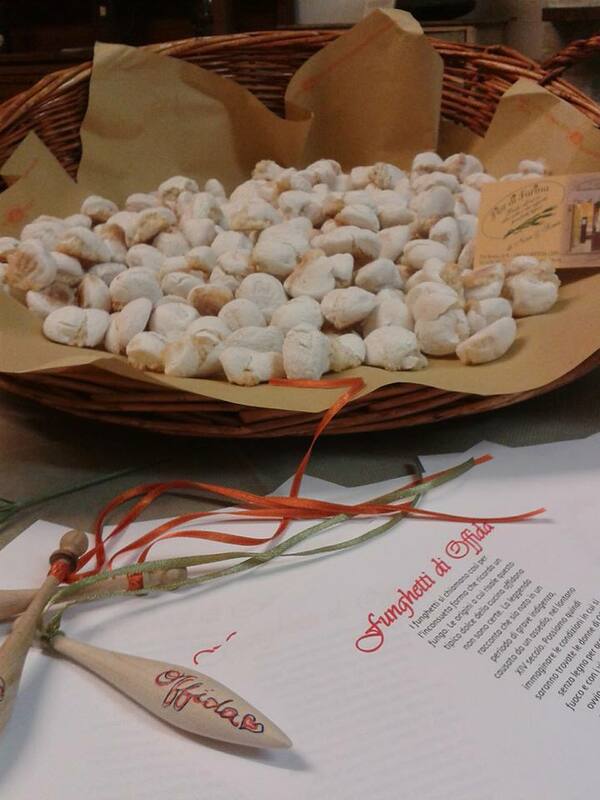 How did the local traditions of the region Marche influence your food and how do you introduce them into your dishes? 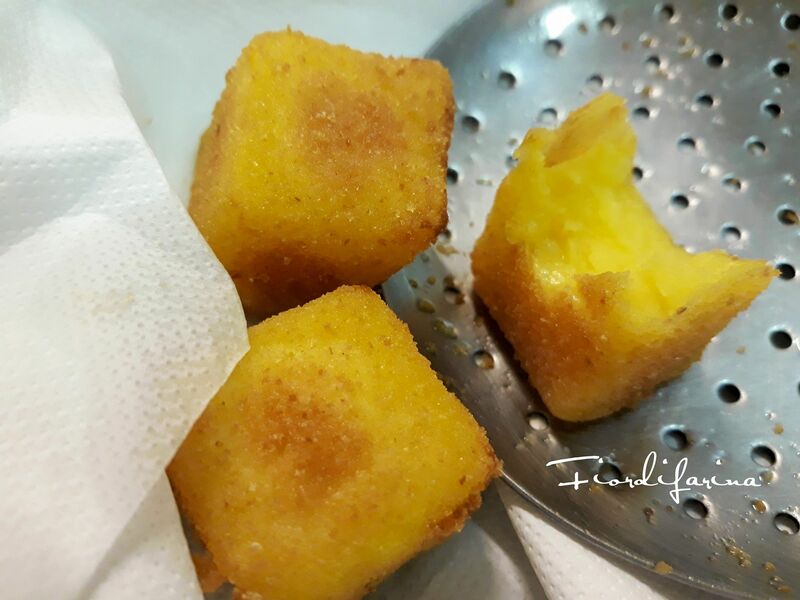 The region Marche is rich in culinary traditions. Dishes are the results of a connection between territory and family. If you research about the origin of some traditional dishes, you may discover some incredibly intriguing stories. We like offering traditional dishes and typical food, without altering too much the original recipes. 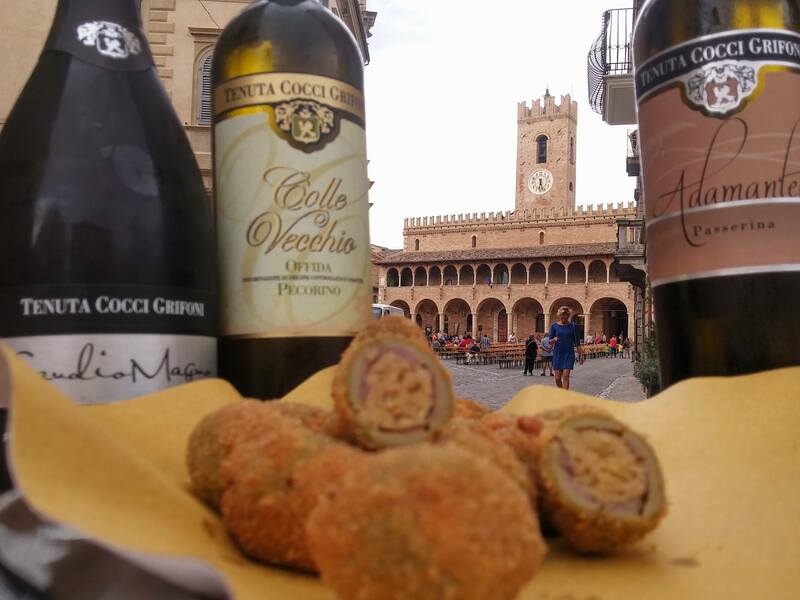 For instance, we believe that the “Oliva all’ascolana” (a traditional dish of the province of Ascoli Piceno, i.e. Ascoli Style Stuffed Olives) should be prepared as the original recipe; any change would mean preparing a dish that is not similar at all. Your province: your Ascoli Style Stuffed Olives (that everyone loves). Please tell us something more about them! Our recipe of the Ascoli Style Stuffed Olives is a simple RECIPE. We personally pick the best ingredients from our local suppliers, not minding the prices but the quality of the products. We like to put together the basic ingredients to produce the final dish: we personally cook the meat used for the stuffing selecting it from our local trusted butcher, and then we stuff the olives with our hands. The greatest source of satisfaction is watching an enthusiastic tourist who tastes our Stuffed Olives. Fior di Farina is located in the borgo of Offida: which are the typical traditions of Offida and why should we visit the borgo? We are lucky for living and working in a unique borgo. Almost every day is a celebration! We have Carnival celebrations with its typical food, several summer events and unique architectural beauties to visit, such as Municipal Palazzo and the Church of Santa Maria della Rocca. Local typical products such as “Funghetti Offidani” (i.e. small mushroom-shaped muffins with anisette) and “Chichì ripieno” (i.e. a typical focaccia of Offida’s bakeries). Absolutely, well worth a taste!